well, you will go into this page. 旁邊寫著：enter the letters that appeared in the images. 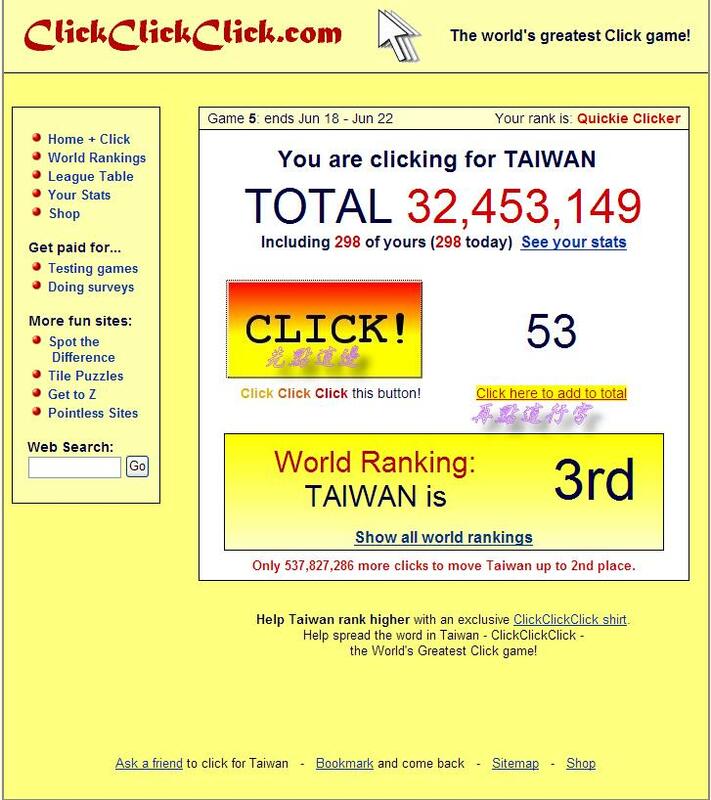 Then, when the sentense say: “click here to add to total” is appeared, you can click it and add the number you click into your country–if your computer is in Taiwan, the number will be counted in Taiwan, so does other countries. 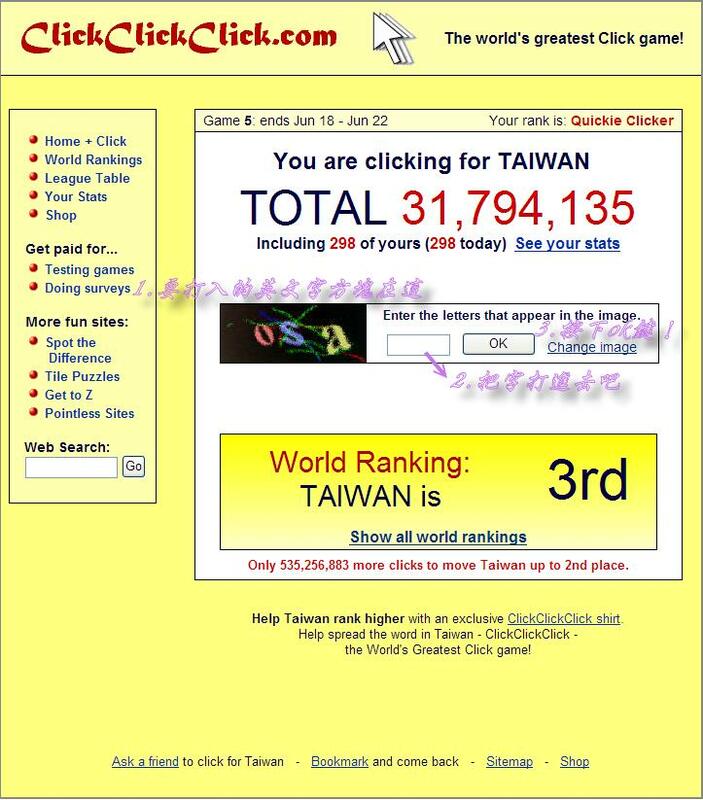 If you want to know the rank of other country?